This week we installed a complete SMT Line and were very excited to install the DECAN F2 as part of this line. UK Electronics, based in Royton Lancashire, as part of their ongoing product development and internal improvement program as well as a new large contract needed extra capacity to their existing 6 machines. With Elite 7 Installations being within 1 hour reach and having heard about the reliability of Samsung machines they approached Elite 7. The DECAN F2 ticked all the boxes, being able to handle their large board size of over 590mm, 01005 capable as standard, accurate down to +/-40um and handling components up to 15mm tall and 42mm square.machine. With the large board handling they selected the ESE US-7000X screen printer (capable of 650mm long boards) and the JUTZE XI-2000 AOI system at the end of the line. 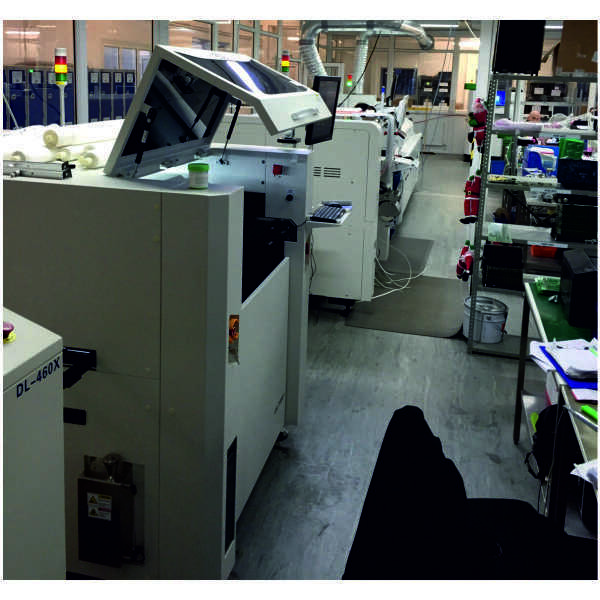 UK Electronics Limited can cater from small one offs using their batch pick and place machines, up to higher quantity contracts making use of the DECAN F2. As part of the line they also had a requirement for an energy efficient oven as they were already close to the limit with their factory mains power. The Folungwin FL-VP660 with pin and mesh, drawing just 6.5kW when up to temperature was selected, not only for it's low power consumption but it's excellent temperature control, low dT and many options as standard such as UPS, Flux Circulation system, automatic chain oilers etc. 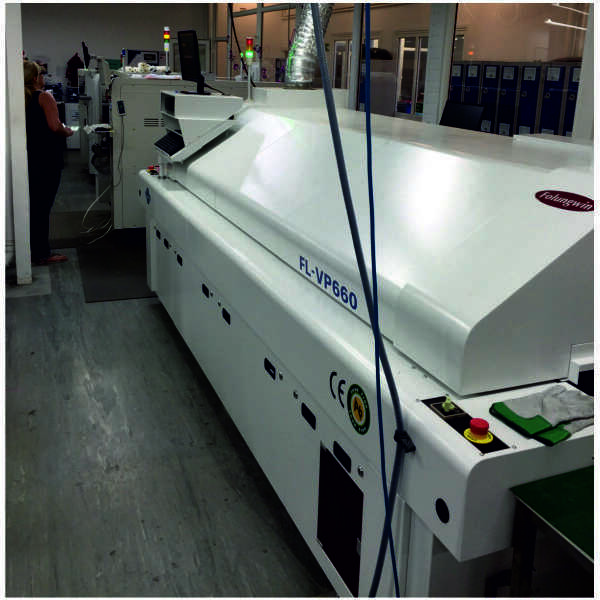 To finish the line off, the In-Line JUTZE XI-2000 AOI was installed, capable of automatically inspecting PCB's up to a a huge size of 650mm x 560mm!!! The AOI Machine will pick up on many failures including Missing Component, Shifted Component, Tombstone, Wrong Component, Insufficient Solder, Solder Bridging, Lifted Lead, Opposite Polarity and many more. This line is then completed with a Good/No Good Dual Magazine Unloader, where the operator can then unload good boards from bad. We wish UK Electronics Limited all the luck for the future and thank you!